​We're dedicated to ensuring you can rest easy knowing that we are here to help your business grow as well as providing savings to consumers from local businesses in the area. 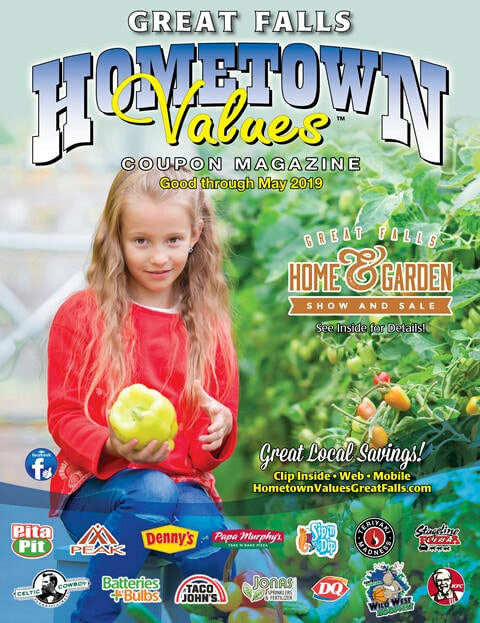 Our goal at Great Falls Hometown Values is to make finding special offers and savings easier - for you and your wallet. As you search for new offers and also for your favorites, click on the coupons of your choice and after doing so, you will then be directed to Click, Print and Save! Come back often for more updates and happy savings! ​Local ownership means that important decisions are made locally by people who live in the community and who will feel the impacts of those decisions. ​Your dollars spent in locally-owned businesses have three times the impact on your community as dollars spent at national chains. When shopping locally, you simultaneously create jobs, invest in neighborhood improvement and promote community development.